The NHS (UK’s National Health Service) is getting snowed under with non-communicable diseases that are directly linked to lifestyle choices, particularly dietary ones. However, the government is not going to rock the boat of Big Farming, Big Pharma and Big Medicine by making any rapid moves in the direction of informing the public that they need to dump the processed junk, meat, fish and dairy, and eat the optimally healthy WFPB diet. It’s just not going to happen. But there are some movements in the right direction, as discussed in a recent Daily Telegraph article by Prue Leith 1 entitled ‘How culinary medicine could solve many of the NHS’s problems‘ 2 . 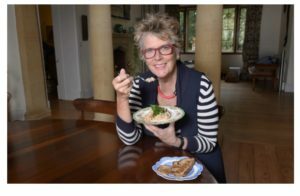 Prue Leith, CBE, DL has experience as a restaurateur, chef, caterer, television presenter/broadcaster, businesswoman, journalist, cookery writer and novelist. She writes how a couple of months ago, she went to Westminster Kingsway College to watch a group of doctors learning to cook. 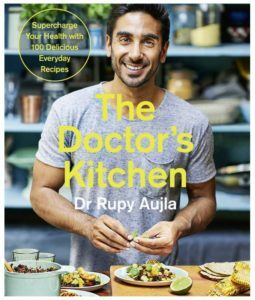 Called An Introduction to Culinary Medicine, this was the first course of its kind in the UK for doctors and was being run by a young GP called Rupy Aujla, author of the ‘Doctor’s Kitchen‘ cookbook 3 . It’s good to see UK doctors writing books like this. I’ve not read the book myself yet, so can’t say that I can recommend it; although I can certainly recommend a US doctor’s cookbook – viz. Dr Michael Greger‘s ‘How Not To Die Cookbook‘ 4 . 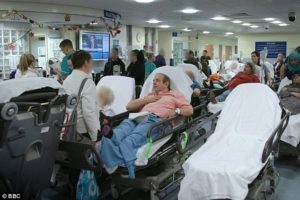 I explained elsewhere 5 why I thought the US has been ahead of the UK and Europe in getting reputable doctors to start speaking out about the need for dietary and lifestyle interventions to reduce hospital waiting lists, so I won’t cover that here (although I do touch on it again below). It appears that Dr Aujla’s basic approach is to get fellow medics to wake up to the proven fact that making suitable dietary and lifestyle changes is one of the greatest solutions for most of the health complaints of their patients – reducing the need for many drugs, supplements and repeated prescriptions for ever-less-effective antibiotics. “If only doctors knew how much medicine there is in the average supermarket vegetable rack“, says Aujla, “we’d all be a lot better off“. He reiterated that little has changed since he graduated around a decade ago, but he thinks the first signs of change are appearing. It’s indicative of the slow pace of change that WFPB is conspicuous by its absence, and I get little reassurance from the inclusion of the Mediterranean diet, something of a ‘catch-all’ for whoever wants to support their own theory about, say, fish or olive oil or red wine being the cure-all. They intention is to have third-year medics, who opt for this course, to partner each student with a patient from a local GP surgery. Patients will have some relevant medical problem (obesity, kidney disease, eating disorder, high blood pressure etc). 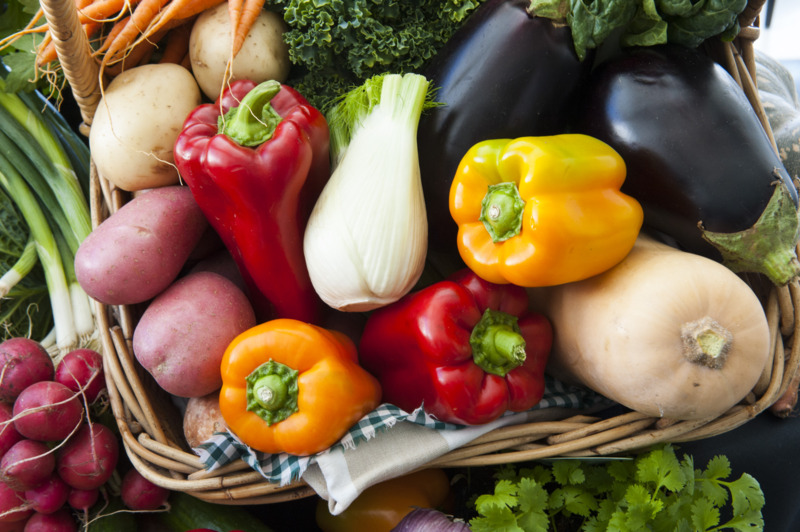 Students and patients will devise diets and recipes to help their conditions. 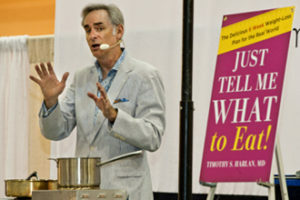 If my experience of doctors and nutritionists is anything to go by, I would expect that the dietary advice will be derived from the type of nutrition courses that have historically believed in such misguided notions as fish is necessary for omega 3, milk is necessary for calcium, high quality protein is needed from lean meat, etc. Of course, it’s not mentioned that the only reason fish are a good source of omega 3 is because they derive it from the blue green algae they eat (or which is contained in the bodies of the smaller fish that bigger fish eat) 9 . Neither is it mentioned that pretty much all fish contains such high levels of pollutants now that it is unwise to eat it 10 . Nor that the world’s fish stocks are becoming critically depleted 11 12 . Nor that you can get all the omega 3 you need from plant foods – eg. flaxseeds, chia seeds, walnuts, etc 13 . Nor that plant-based omega 3 supplements are effective and don’t have the problems of fish oil supplements 14 15 . Nor that there are serious health risks associated with eating fish and fish oil supplements (e.g. breast cancer , prostate cancer and cognitive impairment) 16 17 18 which are simply not associated with getting your omega 3 from non-animal sources. Once again, there’s a sting in the tail. Of course more fruit, veg and whole foods are a brilliant idea, but now, not only have they included fish in the mix, but they have introduced the old chestnut “good quality protein” (also referred to as HQP – High Quality Protein), which is expected to be interpreted as protein from animals, as opposed to LQP (Low Quality Protein) derived from plants. There are so many well-researched reasons 19 20 21 22 23 24 25 26 why plant protein is not to be regarded as ‘low quality’ and animal protein is not to be regarded as ‘high quality’ that I’ll not go into that here. He emphasises that GP’s are already overstretched and would be very unlikely to take seriously any suggestion that they should start giving personal cooking lessons to patients, or even to spend much time counselling them on diet. His hope, therefore, which I share, is that getting more nutrition training into all medical degrees is something that will make change within the GP surgeries possible in the future. But when? Interestingly, the Royal College of General Practitioners has already accredited four of his modules for inclusion among the optional courses doctors can take for their Continuing Professional Development (CPD) requirement 27 . As mentioned above, culinary medicine is a discipline in its infancy in the UK, while in the US it’s far more well-established. The article mentioned the pioneering work of Dr Tim Harlan 28 at the Goldring Center for Culinary Medicine at Tulane University, which was founded in 2012 29 . If you look at the recipes he recommends, they contain a lot of the ingredients that I would never recommend, and neither would the likes of Drs Greger, McDougall, Campbell, Fuhrman, etc. I guess that this is a reason why I have never heard of Dr Harlan before, although this article proclaims him as a pioneer in the field of culinary medicine, which no doubt he is – just not in the “optimal” type of culinary medicine that WFPB advocates are used to seeing. The article points out that almost a quarter of medical schools in the US now teach culinary medicine courses to trainee doctors, where there are accredited modules which include education around treating problems such as impaired renal function or congestive heart failure through diet. Aujla is slowly adapting them all for the UK. Finally, the article states that: “Diet and nutrition could be key to saving our health service”. This is probably an understatement. This Telegraph article has some interesting information and presents a subject that requires lots more airtime in the media. However, it’s still a watered-down version of what any WFPB advocate comes across daily in the plethora of blogs, videos, books and articles coming out of the US from such medical luminaries as Drs Greger, Campbell, McDougall, Esselstyn, etc. And this isn’t even taking into consideration the hundreds of YouTube channels (Mic. the Vegan, PLANT BASED NEWS, Plant Based Science London, ATHLEAN-X, PLANT BASED NEWS, etc) and websites (Forks overKnives.com, Engine2diet.com, Happy Herbivore.com, etc) that are devoted to WFPB research and the resulting dietary guidance for improved human health. It’s unlikely that mainstream media will ever be at the cutting edge of what is really happening in the world of nutritional research. Too many vested interests are involved. Does this mean that there’s no point in bothering with following the media? Not at all. It’s interesting to monitor the trickle-down of research findings, even if it’s either bastardised or diluted. 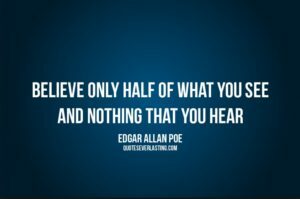 However, I would not recommend that anyone relies on what they read in their daily newspaper as being the whole story – or even a major part of the whole story. Do your own research (nutritionfacts.org 30 and PubMed 31 are great starting points for genuine fact-based research). Natl Cancer Inst Monogr. 1985 Dec;69:187-90. Occurrence of breast cancer in relation to diet and reproductive history: a case-control study in Fukuoka, Japan.